The Central Santa Ana Complete Streets Plan is a planning effort funded by Caltrans through the Active Transportation Program. 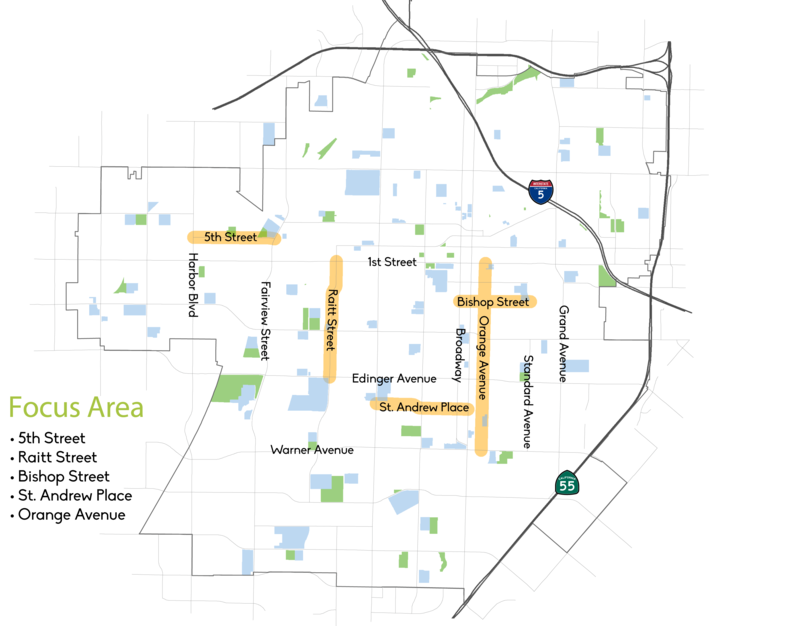 When complete, it will provide guidance to establishing a network of bicycle and pedestrian corridors that connect destinations within Central Santa Ana. Wanna help get out the word about this project? Sign up on our Volunteer Page. Everyone is invited and encouraged to participate on any or all days! 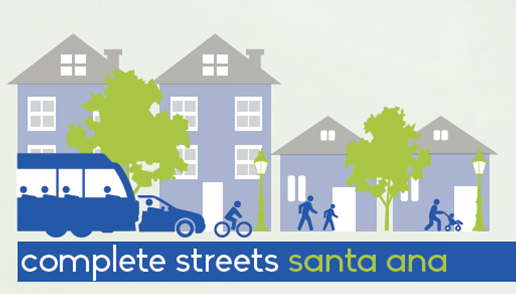 For more information, contact Santa Ana’s Active Transportation Coordinator Cory Wilkerson at (714) 647-5643.